Hamish Marshall’s 56 completed a superb double-header for Gloucestershire as Kent underwhelmed with both bat and ball at Beckenham. 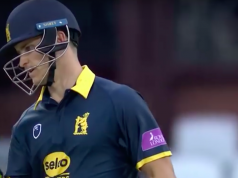 Following their impressive victory over Middlesex the night previous, Marshall and Michael Klinger strolled to 66-0 within nine overs in a chase of 145, before Ian Cockbain’s 37 steered the visitors to the brisk of victory. Cockbain’s strike rate of 127.58 in 29 balls may not seem the most mesmeric, but with just one six and no boundaries in his entire stay, his strike rotation with ones and twos proved vital at the outground. Sam Northeast earlier hit 35 from 34 balls, but regular wickets thwarted a Kent side who struggled to find their rhythm in either discipline. The skipper was in as early as the second over with Liam Norwell getting a quick breakthrough, and while Daniel Bell-Drummond continued his excellent start to the season, his innings ended somewhat prematurely when knicking off from Andrew Tye’s bowling. Benny Howell followed up his man-of-the-match display from the previous night with more excellent figures, removing the ever-dangerous Sam Billings and Northeast to exude just 25 runs from his four overs as Kent got themselves bogged down. Darren Stevens was bowled by Tye for 11, while the Australian picked up a third in Fabian Cowdrey for 18. Alex Blake chipped in with a late 24, but with his knock coming at no better than a run a ball, it summed up most of the Kent innings altogether. But that’s not to underpin the Gloucestershire bowling unit. For a second night in a row, the underrated team bowled excellently with skill and control to limit firstly a powerful Middlesex top five and tonight an up-and-coming Kent effort. It made their chase simple once more, although it’s likely a few visiting patrons may have had their nerves jangled when overs 16-19 went for a combined 16 runs. And it was Chris Dent to finish things off with a six, as Roderick had the night previous, as Gloucestershire breezed to a seven-wicket victory with a straight and commanding maximum down the ground. David Griffiths bore the brunt early on, going for 25 from his first two overs as the Klinger led his side to a commanding 54-0 by the Powerplay’s end. 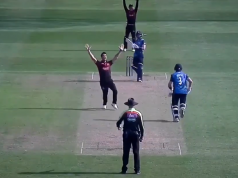 He wasn’t to hang around too much longer, however, out to the miserly James Tredwell as the former England international went for just nine from his first 12 deliveries. 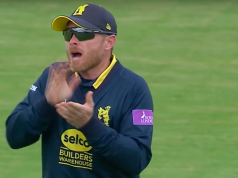 Even he was powerless to Marshall’s six-hitting though, while Kent did themselves little favours conceding six runs in no-balls before the extra punishments were even calculated. With the light fading, Cockbain and Marshall fell to Ivan Thomas and Stevens respectively, but Dent avoided any late jitters to complete an excellent three days of cricket for the Bristollians.